Our special guest, Jeff Cowan from the Golden Gate Chapter of BMW CCA, shares how they transformed their club from struggling for relevance to creating a successful ladder program and running 74 events last year. This is a great learning opportunity for anyone who organizes motorsport events or participates in a leadership role of a member-based club. Jeff Cowan is the Golden Gate Chapter BMW CCA Coummincations Manager and has previously served on the chapter board in several roles including membership chair and president. From 2010-2013, Jeff joined the national board of BMW CCA as the Pacific Region VP. Jeff has 15 years experience working in B2B software marketing, managing corporate brands. 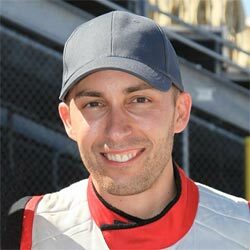 Brian Ghidinelli is the founder and creator of MotorsportReg.com, the #1 place to find motorsport events online. He serves on the Board of Directors for Thunderhill Raceway and previously for the San Francisco Region SCCA. He also instructs at BMW CCA High Performance Driving Schools and Track Days, and races Spec Miata in the SCCA. Our free promotion calendar is the perfect compliment to this webinar. It will help you stay organized and communicate consistently with your beautiful new emails, website pages and social media posts. Need more workers at your events? We have a mailing list full of willing and abled people that have opted-in to our Workers Wanted list. If you need it, give us a call and we'll rally the troops in your area. And if you can't get enough of the track, you can sign yourself up by logging into your MSR account, clicking edit my information under My Account and scrolling to Mailing Lists. Same idea as the workers wanted list, but for instructors. And you can, of course, review an instructor's registration history and logbook entries to help vet their experience. Sign yourself up for this list in the same place.